Do you feel out of balance and under the weather? Have you been experiencing low immunity, headaches, aches and pains? Are you looking for a natural approach to health and wellbeing? Jude has been a fantastic help for over ten years. She successfully treated things as unique as a bony spur on my heel (with hecla lava), to lower back pain. I am sold on homeopathy, and this particular practitioner! Thanks, Jude. You may be looking for a natural alternative to improve your health and vitality, or you may have tried a number of other approaches which haven’t improved your health as much as you’d hoped. Many people turn to homeopathy in these situations. Homeopathy can be effective in treating almost any health issue – from allergies to shingles – regardless of whether the origin is physical, mental or emotional. Your diagnosis is much less important than your unique symptoms. The homeopathic remedy arnica for bumps and bruises may be the most well known homeopathic treatment, but homeopathy goes beyond that. A well-chosen homeopathic remedy can produce a dramatic improvement in short-term illnesses like viral infections or coughs by reducing the intensity of symptoms and recovery time. Many common children’s complaints, such as bedwetting, colic, diaper rash, earaches, nosebleeds, and teething also respond well to homeopathy. 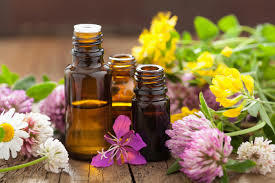 On the other hand, homeopathic treatment can be useful in deep-seated, long-term chronic health issues that have developed over a long period of time. I have worked with a number of clients with long-term health issues like acne, anxiety attacks, arthritis, and asthma to ulcers, varicose veins, warts, and yeast infections to name a few. Many women find that homeopathy brings great relief during pregnancy and with menstrual irregularities, PMS, and menopause symptoms. Even in advanced stages serious health problems where a full cure may not be possible, homeopathy can help to alleviate or reduce severe symptoms, including pain, vomiting, anxiety or fear. Homeopathic remedies are made from minute doses of natural substances like minerals and plants. Because they are made from natural substances they are safe and non-toxic. And due to the minute dose, it is safe to take homeopathic remedies during pregnancy and for babies, children and the elderly. You’re in good company if you choose to work with a homeopath. Not only is it the second most widely used medicine in the world, but the Queen and her corgis have a Homeopathic Physician! Many countries also have homeopathic hospitals offering an integrated approach to health care. Short-term acute problems: bruises, burns, injuries, sprains, tendinitis, colds and flu, indigestion, headaches, back pain, coughs, fears, and phobias. Longer term chronic health issues: allergies, arthritis, eczema, psoriasis, PMS, depression, anxiety, high blood pressure, asthma, herpes, insomnia, fibromyalgia, thyroid problems, weight issues, and shingles.